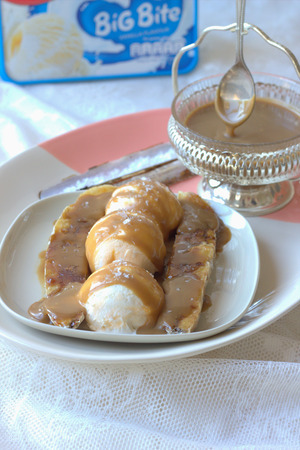 A cute twist on the ice cream sandwich! Cut one slice off the HB Hazelbrook Farm Vanilla Ice Cream block. 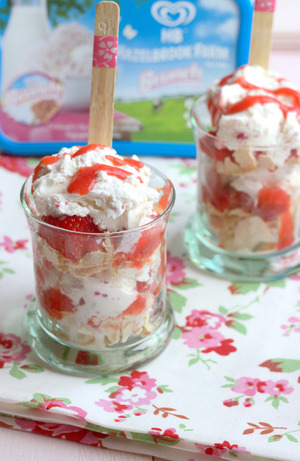 Place a wafer on a plate and place the ice cream slice on top. Cut wafer into triangle and a half circle to create the tail and fin. 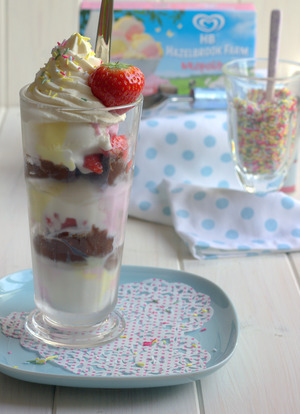 Place the wafers into the ice cream slice in fin and tail positions. Place blueberry on face for the eye. Using a toothpick, create a mouth with chocolate sauce. 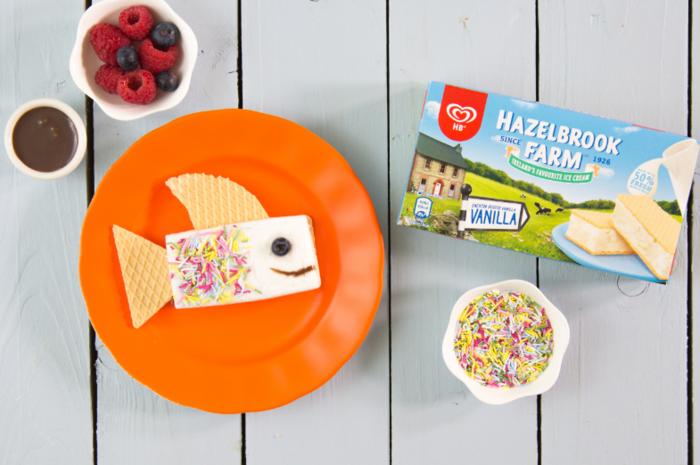 Put sprinkles on half of the ice-cream slice to look like scales on the body of the fish.